Midwest reportedly set a record high mold count. My Cleaning Products advised the use of an organic mold removal spray to help the public kill mold quick and avoid its worse effects. 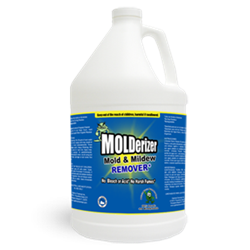 ...Molderizer is not like the other mold removers. Instead of chemicals, it stated that it is made with organic ingredients. On May 28, 2014, Midwest has recorded its highest mold count. The details of it was related in a report from chicagotribune.com posted on the same day. In connection with it, My Cleaning Products advised the use of an organic mold removal spray to help the public kill mold and avoid its worse effects on health. Based on the report, the spore count on th 28th was the highest in the 2014 allergy recording season. It shared that it was particularly around 30,000. However, according to Joseph Leija, MD, Oak Brook resident and creator of the Gottlieb Allergy Count at Gottlieb Memorial Hospital, the count was not alarming. And as it detailed, that's because it didn't reach the 50,000 count limit, which is an air quality alert status. As a result of the high spore count, the report related that people allergic to mold may experience various symptoms. Among those symptoms are scratchy throats, nasal congestion, headaches, fatigue and runny noses. Here's an excerpt from the said report. It has already been established that mold is a danger to health. Hence, it's just logical to get rid of it at first sight, said My Cleaning Products. Nonetheless, though there are now removers that could make the mold removal process effective and safe, many of them contain harsh chemical ingredients, MCP said. That, it stated, makes the matter worse as they present additional risks to health. However, the company said that Molderizer is not like the other mold removers. Instead of chemicals, it stated that it is made with organic ingredients. And so, it is safer than the others, it concluded. In addition, MCP said that it is truly effective. It elaborated that its unique formulation allows it to change the DNA make-up of the spores. That, it cited, prevents them from re-growing for up to four months. And that, it furthered stressed, helps prevent the worse mold health effects. To prove those advantages, the company announced it would be giving out samples of the product. It shared that anyone who wants a Molderizer Complimentary Sample could just go to mycleaningproducts.com.